service including design, producing, package and sales. care for the sales of our customers, help making sales plan for our customers, offer suggestions for brand building. 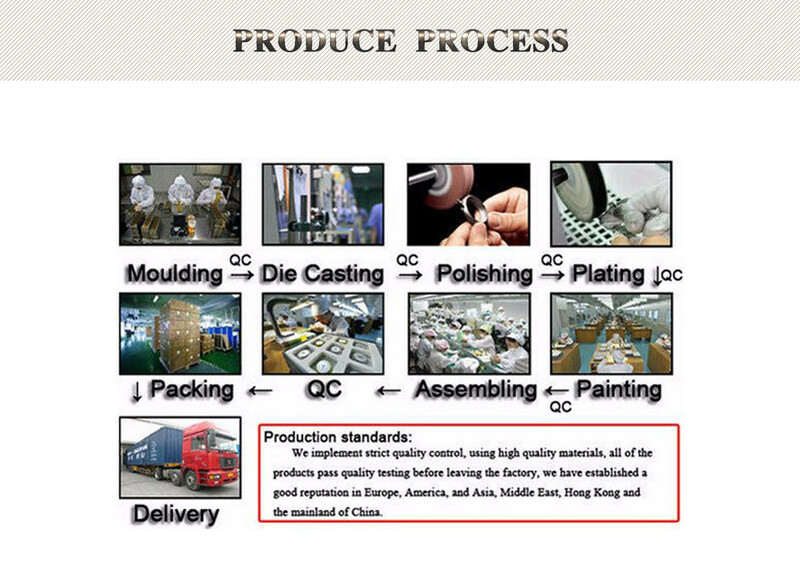 16 QC process. 2. Customer's LOGO printing on the dial or case back or strap. 3. Special packing requirement as per customer. 4. Customers' designs / samples are welcome! 5. Develop new items or lines as per customer's sample or designs. 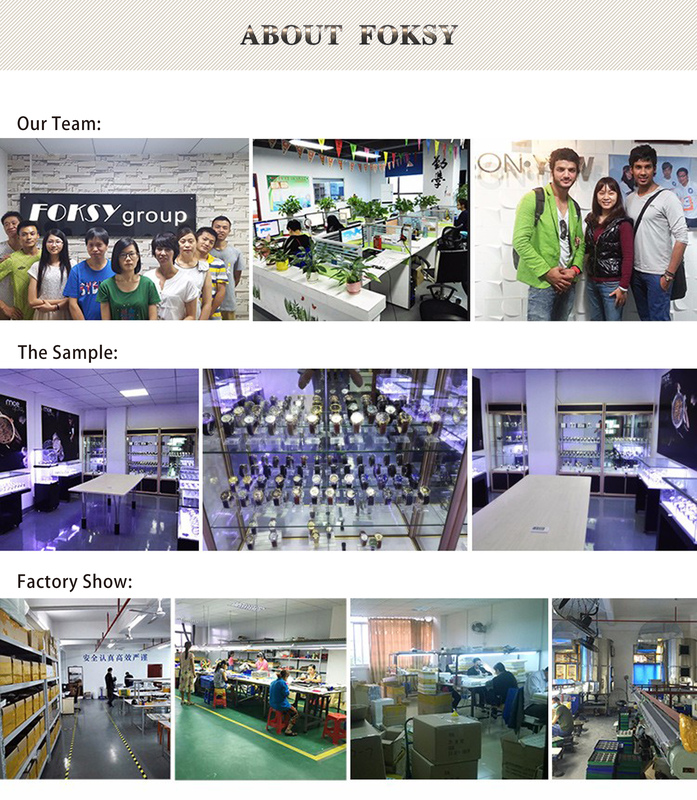 Foksy Co., ltd was founded in 2006 as a China OEM Watch manufacturer that is a branch of Hongkong Foksy co.,ltd. Our company`s office is in Shenzhen. It takes about 30 minutes to Hong Kong by metro way, which is convenient for customers to visit our company. Our factory is located in Dongguan with 3,000 square meters plant, more than 100 skilled production line workers. 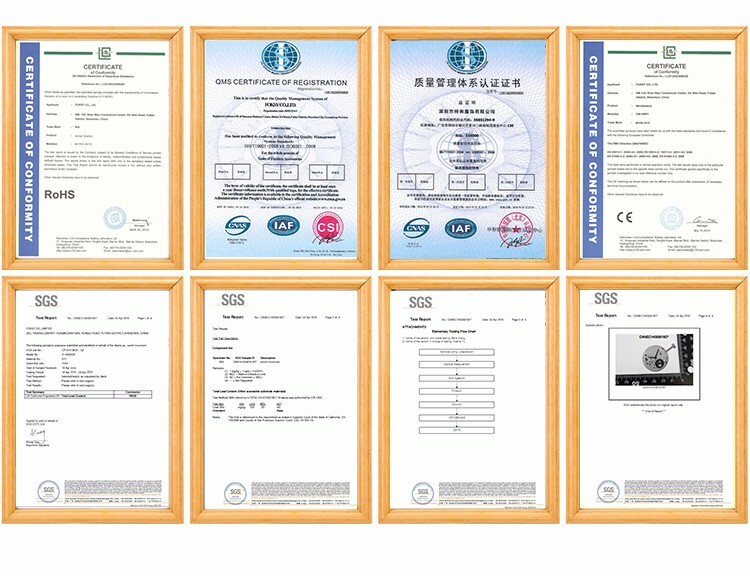 Our company has passed many quality certifications, such as ISO9001, CE, SGS, ROHS ect.. And we own mce and MISS TIME Brand. Our main productions are Wrist Watch such as Automatic Watch, Mechanical Watch, Quartz Watch, Tourbillon Watch, Skeleton Watch, Classic watches, Chronograph Watches ect. . We have our own professional designers for custom watch and provide new designs for customers to choose every month. We can do designs as the customer particular request in the mail, telephone or fax, or make productions according to the samples provided by the customers. Our customers are mainly concentrated in the US, United Kingdom, Germany, Italy, France, Dubai, Spain, Brazil, Australia and Russia. 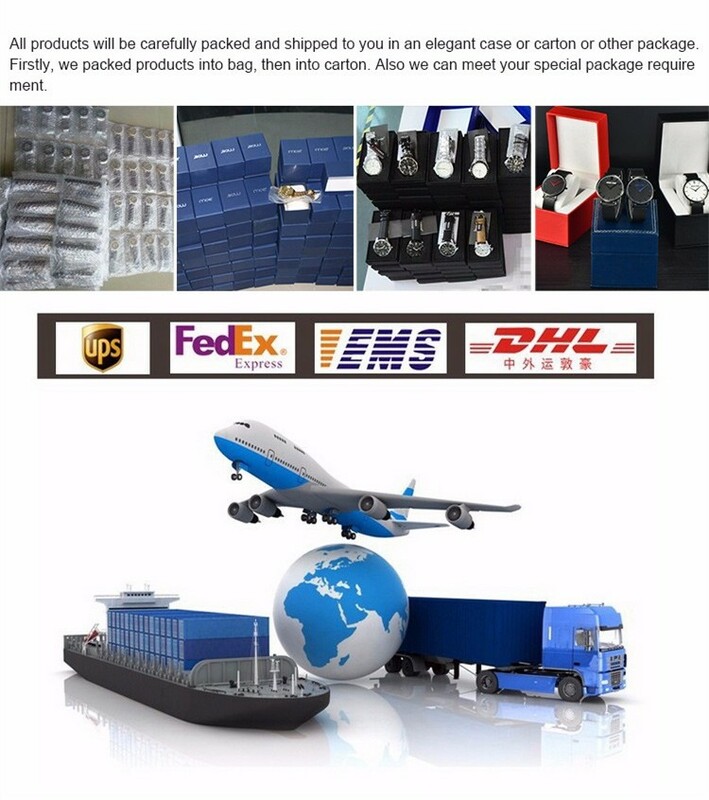 We offer OEM service of watch design. Acceptable OEM logo on watch dial, watch case, watch back cover, watch bezel, watch strap, watch buckle, etc- We offer service to many top brand watches. We not only produce watches, but also to help brand watch to grow up together with us. To build a win-win relationship with brand watches all around the world is our goal. Looking for ideal Genuine Watch Leather Band Manufacturer & supplier ? We have a wide selection at great prices to help you get creative. 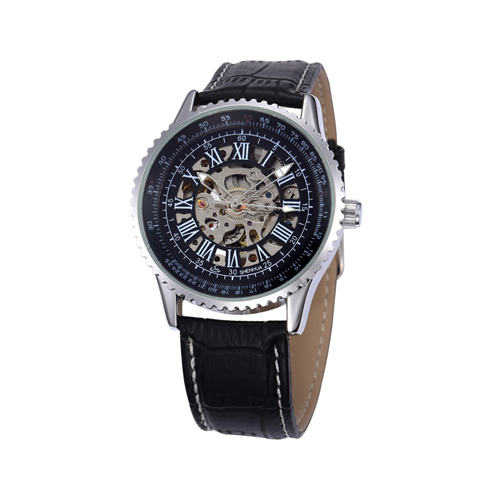 All the Watches Automatic Skeleton Man Luxury are quality guaranteed. 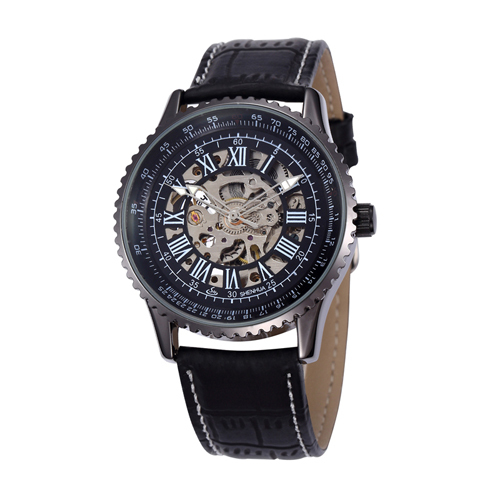 We are China Origin Factory of Black Oem Watch. If you have any question, please feel free to contact us.